Frederick the Great, a Mason without any doubt, while in a jewelry shop in Potsdam, Germany, observed a middle-aged woman exhibiting an article of silver having certain Masonic symbols, possibly a Past Master’s jewel. She was trying to borrow money on it. She said she had come to this particular shop to avoid the usurers and because the owner of the shop was a Mason. The jeweler told her that he was not in the pawnbroking business and couldn’t make the loan. Another person in the shop asked her many questions concerning the jewel, whose it was, how she had possession of it, etc. The man offered to buy the jewel and kept raising the price. When they had come upon a number that would get her out of debt he discovered he had no money in his pocket. He then disclosed to the surprised woman that he was the King. May 24 On this date in 1901, Sir Winston Churchill received his 1st degree in Studholme Lodge #1591, London. Freemasons take pride in having men of stature as members of the fraternity. 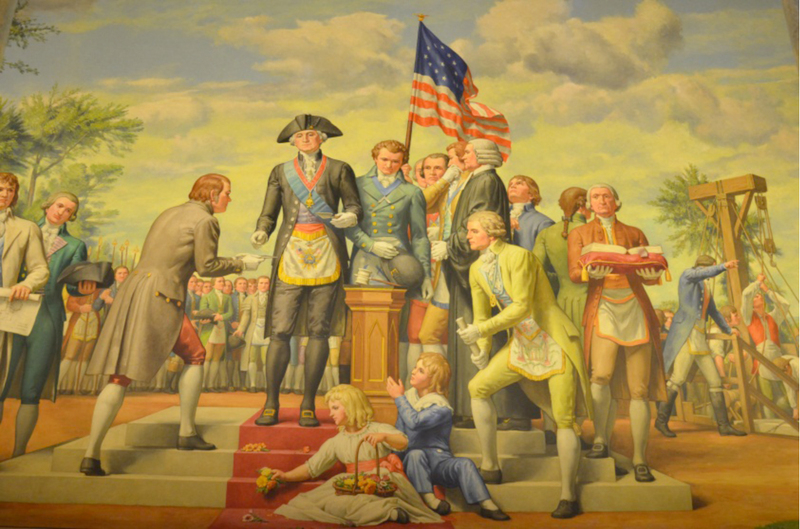 But have Masons at times attributed too much significance to the Masonic association of these great men? Maybe more than the famous people themselves have done? Winston Churchill was the greatest British statesman in recent history. In 1901 he became a Freemason. What induced him to join the fraternity? How active was he as a Freemason? 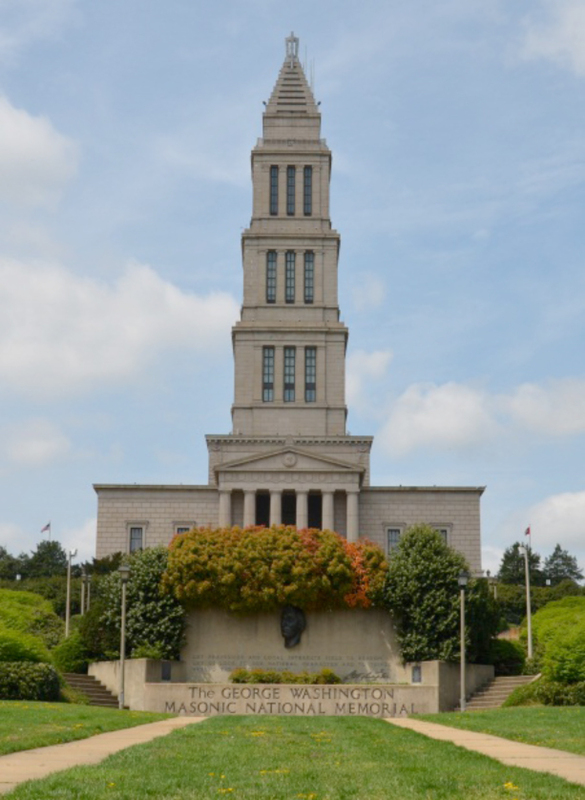 What part did Freemasonry play in his life? Winston Leonard Spencer Churchill was born on 30 November 1874 and educated at Harrow. At the time of his initiation into Studholme Lodge 1591 on 24 May 1901, Freemasonry was a fashionable social pursuit. The election of the Prince of Wales (later Edward VII) as Grand Master in 1875 gave a huge impetus to Freemasonry. As the Prince of Wales, he had been an exceedingly popular Royal and Grand Master, and brought with him a host of other Royals and aristocrats who gladly joined the Craft. It was not by accident that the promising young Winston was introduced to Studholme Lodge in London. John Studholme Brownrigg, Provincial Grand Master for Surrey, whose prominent family gave its name to the new Lodge, consecrated the Lodge on 31 January 1876. In 1881 the Lodge moved from Surbiton, in Surrey, to London, and the summonses read like a Who’s Who of the aristocracy and social elite. The guest list for the Lodge’s 21st Installation Banquet in 1897 includes 17 Members of Parliament, including the Lord Chancellor, and numerous Lords, Earls, Knights and high-ranking members of the armed forces dispersed throughout the dining room. The Lodge records give the date of Churchill’s initiation as 24 May 1901 with his address as 105 Mount Street, his age as 26, and his occupation as a Member of Parliament. Charles Clive Bigham, Viscount Mersey, whose entry in the Studholme Lodge register, next to that of Churchill, has caused some confusion about his taking his third degree in Rosemary Lodge, gives an insight into the scene on the day. Within two months, on 19 July, Winston was passed to the second degree, and on 5 March 1902 he became a Master Mason, all three ceremonies being conducted in Studholme Lodge. An unfortunate communication in 1955 by the then librarian of Grand Lodge, W I Grantham, to his counterpart in Iowa, USA, has led to the erroneous reports that Churchill was raised in Rosemary Lodge No. 2851. This occurred because the Studholme Lodge register has the name Geoffrey C Glyn above, and Charles Clive Bigham below that of Churchill. Further along the line against both these names is the entry ‘Raised in No 2851, 11th Nov 1901’. This entry was also wrongly attributed to Churchill. His raising was by special dispensation applied for by the Lodge secretary, Henry James Fitzroy, the Earl of Euston, Provincial Grand Master for Northamptonshire and Huntingdonshire, and conducted by the Master, J C F Tower. At the same meeting, Ferdinand John St john was initiated and the brethren dined at the Cafe Royal, as was customary for the lodge. Studholme Lodge amalgamated in 1959 with United Lodge No. 1629 to form United Studholme Lodge, and amalgamated again in 1976 with Alliance Lodge No. 1827 to attain its present status as Studholme Alliance Lodge, retaining its original number 1591. May 1	On this date in 1865, William McKinley (U.S. President 1898-1901) received his 1st degree in Hiram Lodge #21, Winchester, Virginia. May 3 On this date in 1886, Rudyard Kipling received is 2nd degree. (Lodge records lost during the Civil War) Initiated: May 5, 1851, Greeneville Lodge No. 119, Greeneville, Tennessee. Brother Johnson is supposed to have been a Chapter Mason but the name of the Chapter and date of exaltation are unknown; was Knighted in Nashville Commandery No.1, Nashville, Tennessee, July 26, 1859, and, the First President to become a Scottish Rite Mason, received those degrees in the White House June 20, 1867, from Benjamin B. French, 33 Deg. and A.T.C. Pierson, 33 Deg., both active members of the Supreme Council, S.J. He participated in five cornerstone layings; the monument to Bro. Stephen a Douglas, Chicago, Illinois, September 6, 1866; Masonic Temple, Baltimore, Maryland, November 20, 1866; Masonic Temple Boston, Massachusetts, June 24, 1867; National Cemetery, Antietam, Maryland, October 17, 1867; and Masonic Temple, Washington, D.C., May 20, 1868. To attend this ceremony he gave leave to all Masons in government service, and President Johnson marched on foot in the parade as a Master Mason. He died July 31, 1875, and was buried with full Masonic Honors by Greeneville Lodge No.119, R.W.G. C. Connor, Deputy Grand Master of Tennessee conducting the services in the presence of four Lodges and Coeur de Lion Commandery No.9 of Knoxville, which performed the Templar service. 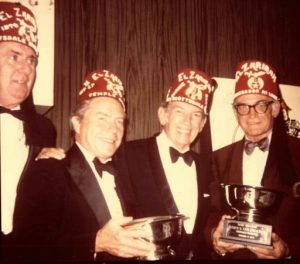 On this date in 1931, Senator Barry Goldwater (candidate for U.S. President in 1964) received his 1st degree in Arizona Lodge #2, Phoenix AZ. Barry Goldwater and John Rhodes join the Scottsdale Shrine Club to share “What’s Right With America.” Senator Goldwater was a 33rd degree Freemason. Like his Uncle Morris, Barry was a lifelong and active member. A LIVING MASON: A tale of how we would rather have a Brother in lodge as you are versus not having a Brother attend because he worked late or doesn’t own “fancy” enough cloths. The man inside is more important. The Lodge is completely packed and he can’t find a seat. By now the Brethren are really looking a bit uncomfortable, but no one says anything. John gets closer and closer to the East and, when he realizes there are no seats, he squats down right on the carpet. (Although perfectly acceptable behavior at a college fellowship, trust me, this had never happened in this Lodge before!) By now the Brethren are really uptight, and the tension in the air is thick. About this time, the Secretary realizes that from way at the back of the Lodge, a Past Master is slowly making his way toward John. Now the Past Master is in his eighties, has silver-gray hair, and a three-piece suit. A good man, very elegant, very dignified, and very courtly. He walks with a cane and, as he starts walking toward this boy, everyone is saying to themselves that you can’t blame him for what he’s going to do. How can you expect a man of his age and of his background to understand some college kid in the Lodge? It takes a long time for the man to reach the boy. The Lodge is utterly silent except for the clicking of the man’s cane. All eyes are focused on him. You can’t even hear anyone breathing. The Secretary can’t even continue with the “Minutes” until the Past Master does what he has to do. And now the Lodge watches as this elderly man drops his cane on the floor. With great difficulty, he lowers himself and sits down next to John and welcomes him so he won’t be alone. – Lafayette, French liaison to the Colonies, without whose aid the war could not have been won, was a Freemason. 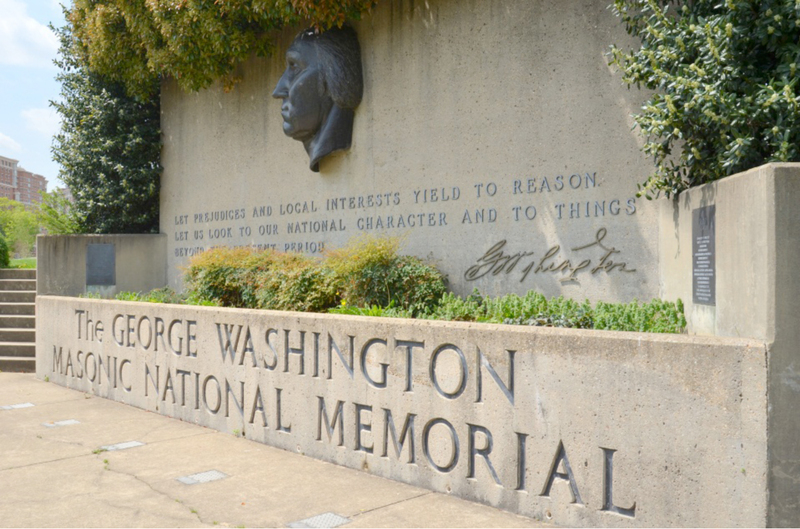 – Most of Washington’s Generals were Freemasons. 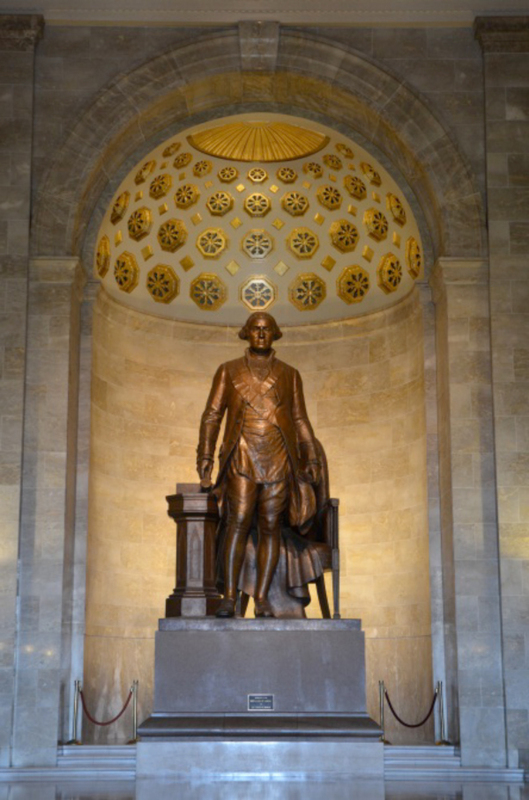 – George Washington was sworn in as the first President of the United States by Robert Livingston, Grand Master of New York’s Masonic lodge. The Bible on which he took his oath was from his own Masonic lodge. 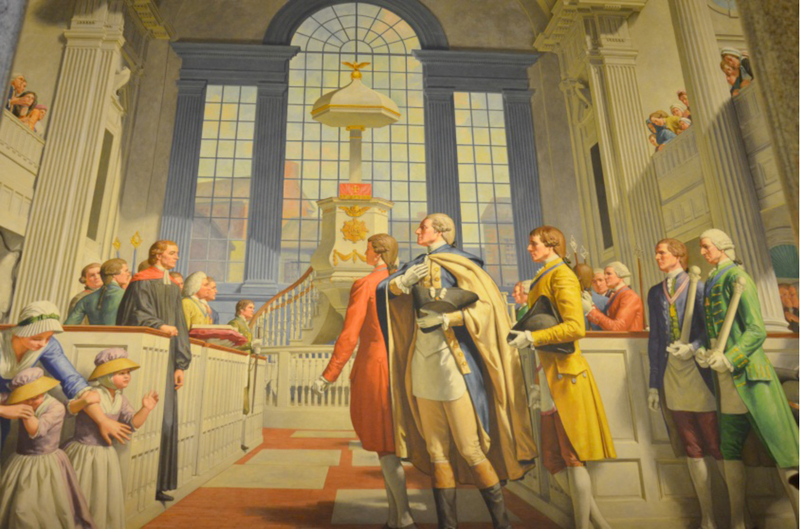 – The Cornerstone of the capitol building was laid by the Grand Lodge of Maryland. WB Gregory J. Knott is the Past Master of St. Joseph Lodge No. 970 in St. Joseph (IL) and a plural member of Ogden Lodge No. 754 (IL), and Homer Lodge No. 199 (IL). He’s a member of both the Scottish Rite, and the York Rite, and is the Charter Secretary of the Illini High Twelve Club in Champaign-Urbana. He’s also a member of the Ansar Shrine (IL) and the Eastern Illinois Council No. 356 Allied Masonic Degrees. Greg is very involved in Boy Scouts–an Eagle Scout himself; he serves the Grand Lodge of Illinois A. F. & A. M. as their representative to the National Association of Masonic Scouters.